Graphic apparel for the ones who don't fit in. The ones who shouldn't try to fit in. It's a brand for the others finding their own way. 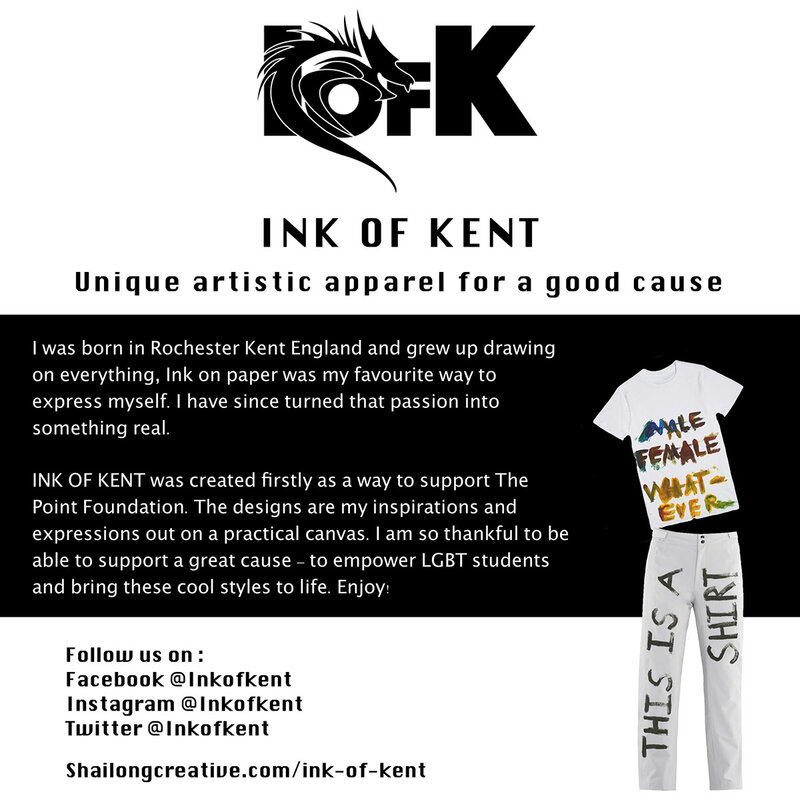 INK OF KENT was created firstly as a way to support The Point Foundation. The designs are my inspirations and expressions out on a practical canvas. I am so thankful to be able to support a great cause - to empower LGBT students and bring these cool styles to life. Enjoy!